Enjoy sweeping conservation views from this immaculate 5 bedroom /2.5 bath estate home tucked away on a quiet cul-de-sac in gated East Lake Corridor. No through traffic! Double leaded glass front doors greet you and lead into the impressive foyer with soaring ceilings and neutral tile. Formal living & dining rooms are adorned with crown molding and newer wood laminate flooring. The kitchen is a cook's delight and boasts wood cabinetry with pull-outs, newer stainless steel appliances & gleaming granite counters! The breakfast nook and family room offer sliders to the pool. The first floor bedroom could also serve as a den/office space. The grand staircase leads you to the second floor which features 3 generously sized bedrooms, one of which is large enough to be used alternately for a billiards / recreation room and is pre-plumbed for a wet bar. The master retreat is expansive and offers a sitting area and walk in closets with built in shelving. The enormous master bath comes with a jetted garden tub. There are other upgrades in the home including wainscoating railing and plantation shutters throughout. New roof installed 2/2019! The screened lanai features brick pavers, an amazing lagoon style pool with 2 waterfalls, spill over spa, custom lighting & pool garden. Peaceful conservation lot with beautiful views of Brooker Creek Preserve. Zoned for excellent East Lake schools in the wonderful RIDGEMOOR subdivision offering: tennis/basketball courts, parks/playgrounds & security! 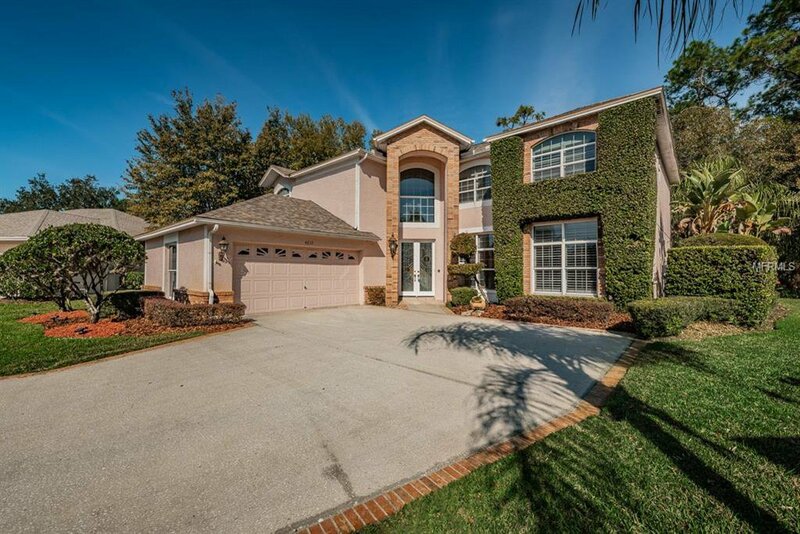 EXCEPTIONAL EAST LAKE HOME! Listing courtesy of KELLER WILLIAMS REALTY. Selling Office: CENTURY 21 RE CHAMPIONS.